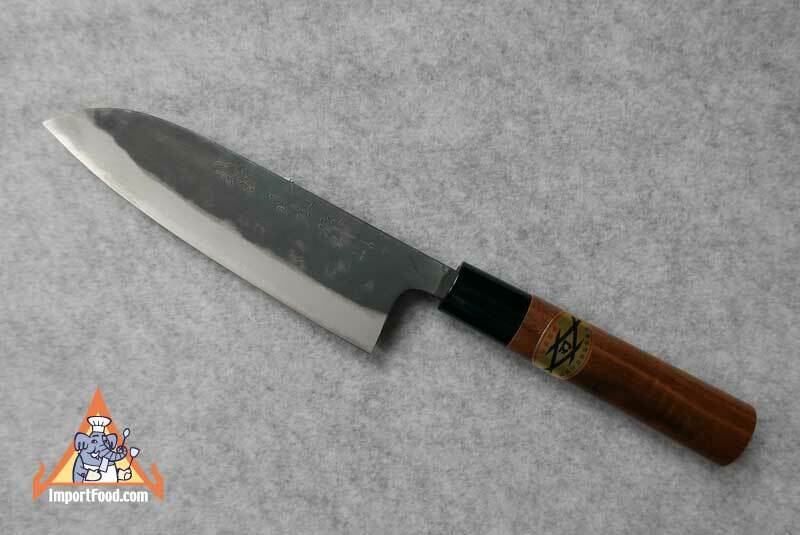 Hand Crafted Santoku Knife, Walnut Handle, Japan, 14.5"
The knife is made of hard carbon steel, sharpened on both sides. The handle is walnut. As you can see, there is a hard black plastic band on the handle. The blade is 8.5" long, and handle is 6" long. Total length 14.5".